Thanks to Oriental Trading for providing me with the Thanksgiving pumpkins shared in this post. I was provided free decor items in exchange for my honest review. 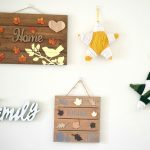 Earlier this week, I’ve shared some of the ways I’ve decorated my home for fall this year and previous years. 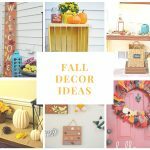 I do a lot of decorating, so I still have a lot of fall decor ideas to share! 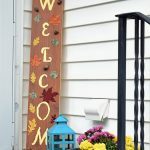 I thought I’d share more of the ways I’ve decorated my home for fall this year and other years. 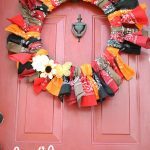 One of the first and easiest wreaths I’ve made is my fall grapevine wreath. I simply wrapped a chevron ribbon around a grapevine wreath to create this fall decor item, but I really like how it turned out. 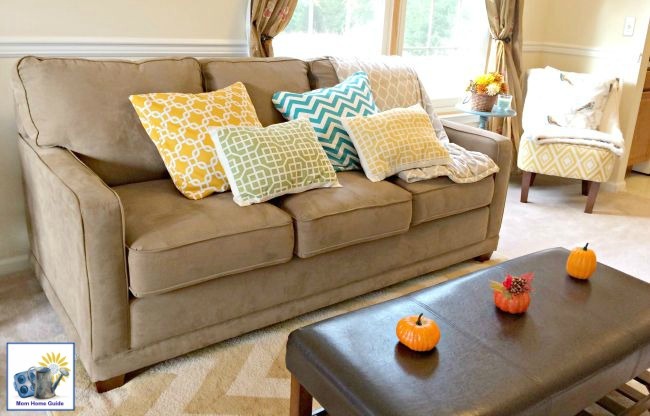 One way I like to change the look of my home for the seasons is by making new pillows or envelope pillow covers for my living room sofa. 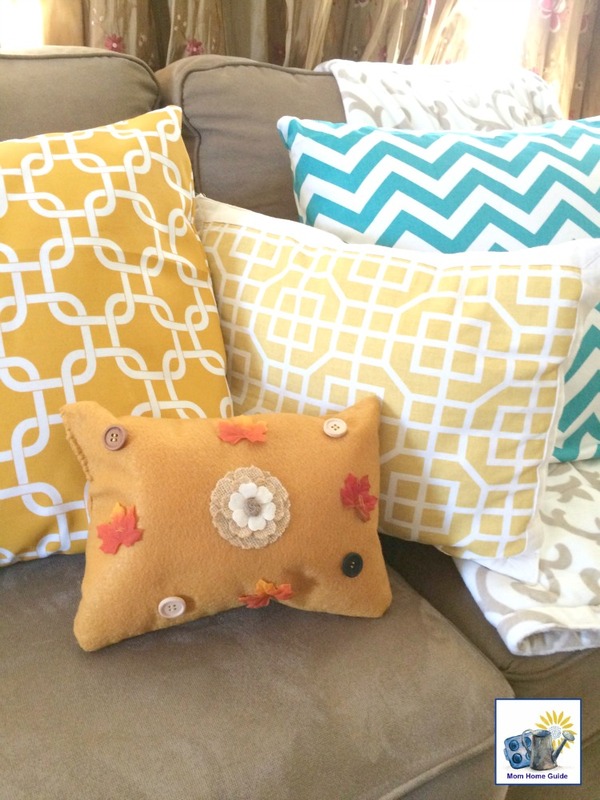 Two autumns ago, I created fun colorful pillows for my sofa by sewing new envelope pillow covers for the existing pillows on the sofa. One recent fall I made a quick fall accent pillow out of some felt and some autumn-themed burlap, faux leaves and button embellishments. 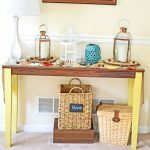 Last fall I was able to create a sweet Thanksgiving-themed console table, thanks to some beautiful Thanksgiving decor items I received from Oriental Trading. 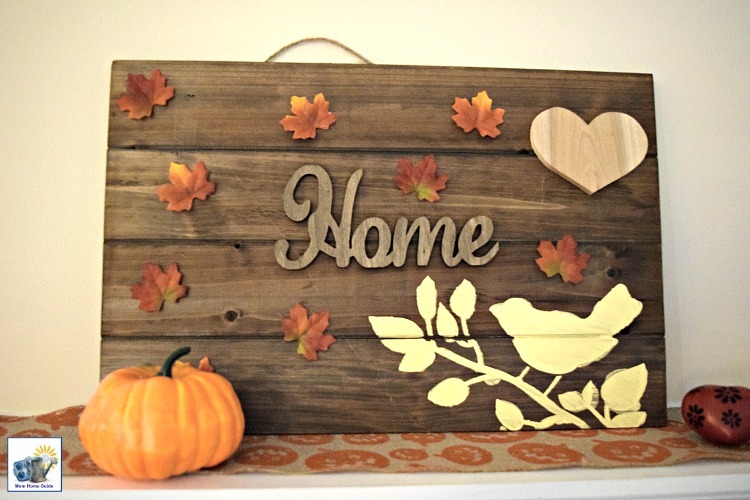 One of my favorite but easiest fall decor items I’ve made is my DIY Thanksgiving Wooden Sign. I didn’t need any particular ability to put this sign together — just some mad gluing skills! 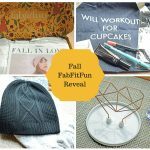 Last fall I created an easy fall centerpiece around some fall-scented candles with some pine cones and some faux fall leaves. 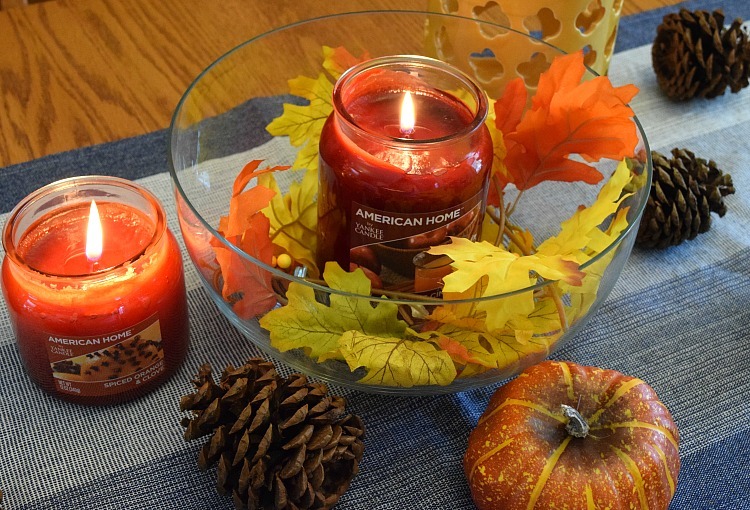 I love the scent of autumn candles in the fall. 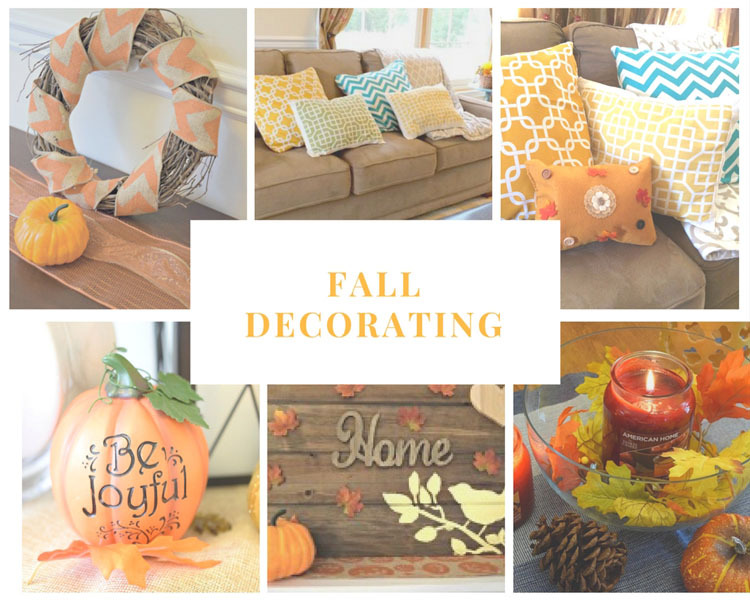 I hope you enjoyed these fall decorating ideas! 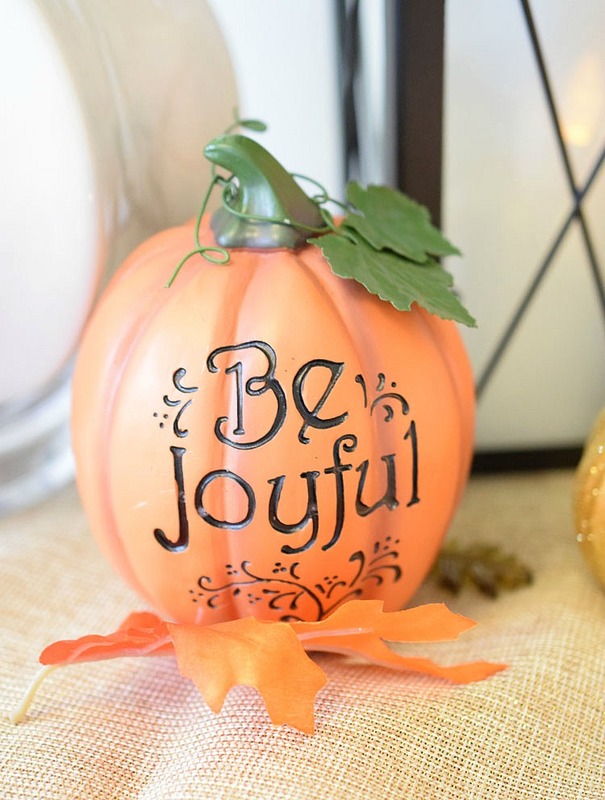 How have you decorated this fall? I’m always looking for new ideas! 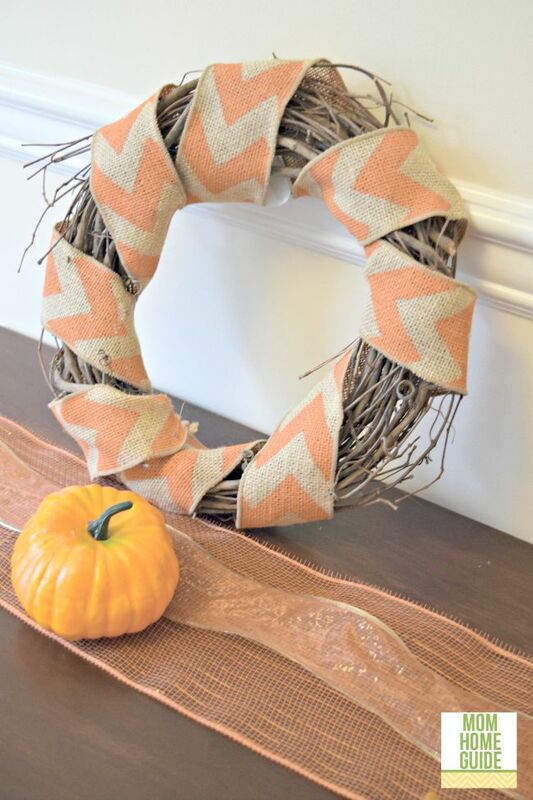 I love the idea of wrapping burlap around a grapevine wreath for a quick change. I love all of your pillows you’ve made and you are always changing them up, which is great when seasons change! 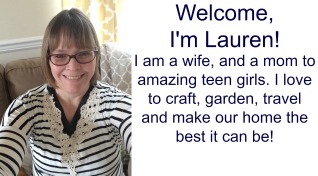 Carrie @ Curly Crafty Mom recently posted…Happy Halloween!